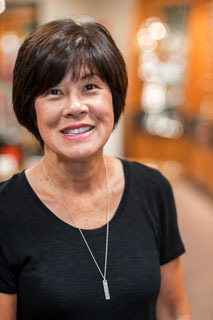 Doctor Kageyama received a Bachelor of Science in Biology from Loyola Marymount University in 1981 as well as another Bachelor of Science in Visual Science from the Southern California College of Optometry in 1983. He received his Doctor of Optometry from the Southern California College of Optometry in 1985. 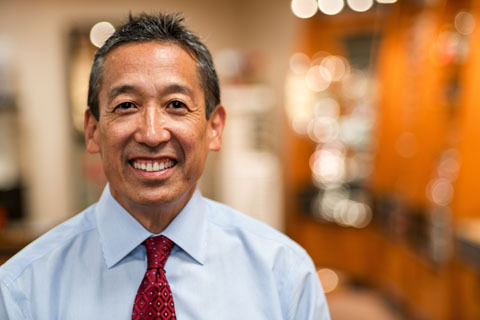 His primary interest in optometry centers upon preventative eye care. Doctor Kageyama has a special interest in difficult to fit contact lens cases as well as in the management of chronic dry eye conditions. He is Glaucoma certified and is licensed in the use of diagnostic and therapeutic pharmaceutical agents. Doctor Kageyama is a Fellow in the prestigious American Academy of Optometry. He became a Fellow in 2014 following an arduous qualifying process. This process included submission of multiple written presentations which were peer reviewed by leading Doctors of Optometry. There was also a required oral examination in front of a leading panel in order to obtain Fellowship status. Less than 10 percent of the Optometrists ever become Fellows in the Academy. Doctor Kageyama is a member of the American Optometric Association, California Optometric Association, and Sacramento Valley Optometric Society. He is also a member of the American Optometric Association’s Cornea and Contact Lens Section. Doctor Kageyama is also a volunteer for the underserved population with groups such as Care Harbor of Los Angeles, Remote Area Access, and Vision Service Plan’s mobile eye care. In his spare time, Doctor Kageyama enjoys reading, working out, and fishing. Doctor Tamai also received her Doctor of Optometry degree from Southern California College of Optometry. She holds a special interest in children's vision care. She thoroughly enjoys providing personalized eye care to all her patients. Doctor Tamai is active in the local Elk Grove running community. She successfully completed her first marathon in 2015. She also enjoys knitting in her spare time.